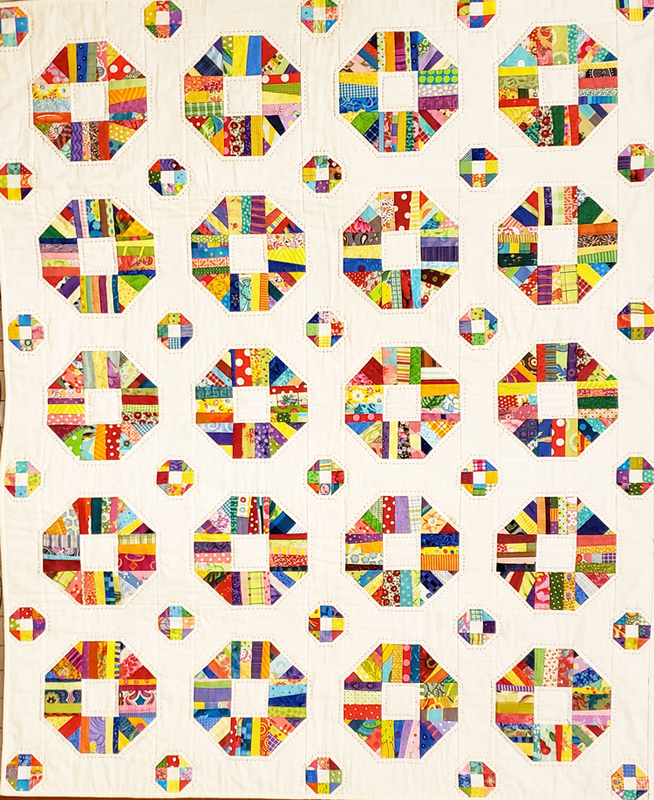 This string quilt was inspired by a variation of the 9-patch. In this version, half-square triangles replace the usual corner squares. I wondered, what would happen if I replaced the 4 squares and corner pieces with string-pieced squares and triangles? Pleased with my new string blocks, I wondered, how should I set the blocks? The only setting I liked was sashing with posts. And the only posts I liked were a mini version of my 9-patch variations…One thing led to another, and the quilt became a fabric version of going down the rabbit hole.